The below report is based on the system analysis and design for a multinational bank “HSBC Bank” from United Kingdom (UK). The below assignment has covered a brief introduction to the organisation; Work Breakdown Structure (WBS) of the system development project; Task Sequencing approaches; Fact Finding; Organisational chart and AS IS process of the project. The organisation HSBC bank is among the largest banks all over the world. HSBC bank is a multinational banking organisation that has approximately 7,500 branches all over the world and it functions in 80 countries in the world. Its branches lay in Asia-Pacific, Europe, America, Africa as well as the Middle-East. It is a completely owned subsidiary of HSBC holdings and provides all kind of financial facilities like commercial banking, personal banking, investment banking and finance etc. In UK alone the bank has 1800 branches (HSBC Bank, 2017). The headquarters of the organisation are in Canada Square which is in the Canary Wharf area of London at the HSBC tower. Being one of the best banks in the world it does not have much competition. The organisation was found in 1865 in Birmingham, Great Britain by HSBC holdings and it is since then providing facility within and outside of UK. It has a huge workforce of 85,000 employees in its branches that are spread worldwide. The chairman of the organisation is Jonathan Symonds and the Chief Executive officer is António Simões. The basic definition of a Work Breakdown Structure (WBS) in systems engineering is the breakdown of a procedure in small parts that is delivery oriented. It can also be defined as the division of scope of the project on the basis of hierarchy decomposition that is done with the objective of the project team so as to achieve the objectives of the project and fulfil the demands of the client (Harrison, et al. 2014). The elements of a WBS can be a service, data, product or a combination of these. The purpose of a WBS in project is the provision of a required framework as well as cost estimation for development of schedule and control. The system is developed as per provision of a better computer system to the employees in record maintenance. WBS is a diagram that represents the incremental decomposition and hierarchy within the process in stages and facilitates the working of the system analyst and his team. It also provides the officials of the organisation a clear understanding of the work process of the system analysis team and they can review the progress with the help of it (Valacich, et al. 2015). The divisions and subdivisions in the work determine the amount of time and effort required in each activity of systems development which in turn helps increasing the efficiency of the work process of the system analyst team. The divisions of the project in a WBS diagram are based on duration, size, ad responsibility etc. IT also facilitates the division of responsibilities and roles among the members of system analysis team. The above WBS is based on the system analysis carried out for HSBC Bank for offering better computer system for record maintenance in the organisation. All the activities have been chalked out in the WBS and the activities have been divided among the team. This WBS will be used to implement the procedure of system analysis and design for HSBC bank. The WBS is designed prior to the actual process of system design so it is prone to changes during the actual work process of system design. Therefore this is just a draft meant for reference and not the final structure of the work process. This Gantt chart is formed with the objective of displaying the software development process for HSBC Bank. The chart states that the software development process took 6 weeks as a whole and every activity was given equal amount so as to ensure all activities were given equal attention. There are 6 activities and all of them took 1 week individually (Ong, et al. 2016). The provision of equal time on each task also facilitates the accuracy of time effectiveness in the system development analyst and team who is responsible for the systems development for HSBC Bank. 3.Interface design that helps in efficiently communicating with the user. 3.Diagrams and flowcharts; user training manuals and program documentation. The system analyst is responsible for organising of documentation mentioned above. The technique of sampling is the technique in which the combing of document samples, records and samples is carried out. The system analyst responsible for system development in HSBC bank uses the techniques of stratification and randomisation of sampling. The process of randomisation includes the selection of data on a random basis. In stratification, systematic deduction in variance of sampling data is carried out in the process of sampling for system development. The better understanding of system can be ensured by analysing the present documents, files and forms of the existent system. One more technique of fact finding used by the system analyst of HSBC bank is the observation of workplace atmosphere. This technique focuses on the participation of the system analyst in the workplace atmosphere of the organisation. This helps him in the study of the flow of information and documents, interacts with the users of the system and he can also apply the existent system to analyse the requirements of change (Wasson, 2015). This technique can be useful as it helps the analyst in analysing the situation and needs of the system from the point of view of a user. This technique is like the sampling of work process of organisation which enables better understanding of the system. The research involves the references to the previously solved issues of other sources that are available n the internet or other sources like books or humans etc. The previously solved issues should be examined so as to determine the possible solutions of the problems. The analyst can also visit other establishments that have experienced same problems and determine how they solved the problem. Research can also be carried out with the help of case studies, reference books, database and internet etc. Questionnaires can also prove to be very useful as a fact finding technique as they facilitate gathering of information. They can help the analyst in collection of information from various users in the organisation and determine their problems and requirements. It is a time effective technique as it does not require personal interaction with each user and facilitates the collection of information. The technique of interviews is very commonly used and an effective technique of fact finding and it can be very useful in the present scenario. The analyst can interview IT officials of the HSBC bank along with the users of the system so as to identify the requirements of the system and work accordingly. The order of the fact finding technique will be interviews, documentation review, research, observation and questionnaires. 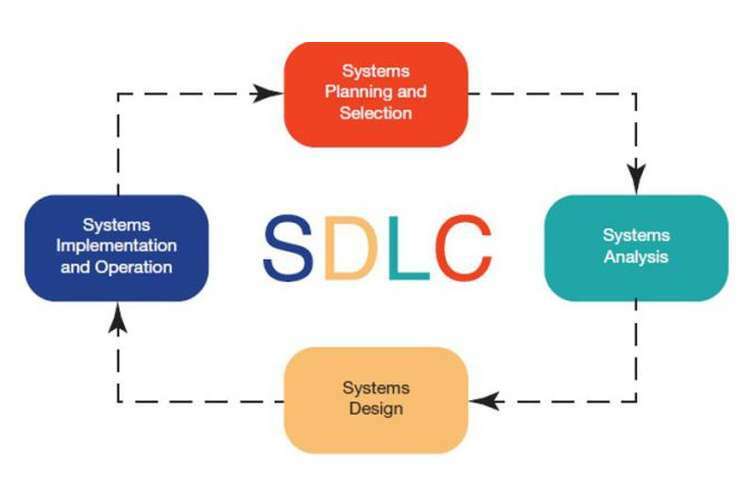 This order will facilitate the systematic gathering of the information for the process of system development and will establish a connection between the gathered information and by joining the information chronologically system analyst can determine the requirements of the system (Fact Finding, 2017). This order will also facilitate the gathering of the basic understanding through the interviews at first expanding the understanding by documentation review and research and getting further confirmations on the derivations with the help of observations and questionnaires. Thus it is the suitable order of fact- finding for systems development of HSBC Bank. 1.IT Head: First of all the systems analyst has to interview the IT head of the organisation in order to determine which areas of the system are problematic and why. The IT head can also help in the provision of details of the requirements for the new system. The IT head can thoroughly explain the system analyst the present system and thus the analyst can obtain a better understanding of not only the requirements but also the current system. 2.Administration Staff: The staffs in the administration of various departments is responsible for the record keeping and interviewing them can be helpful in terms of the determination of their present working state and the improvements that they need in the system. The information collected from the interviews of these officials will result in better understanding of the requirements for record keeping features in the system. 3.Sales Officials: The sales employees in the marketing department can also shed a light on the effects of record keeping on the revenue generation of the organisation. This will provide the system analyst a financial perspective on the system requirements and it will also help in the better understanding of the sensitivity of system requirements (Neff et al. 2017). Thus it will greatly help the analyst in systems development. 4.Users of the System: The users of the system can be interviewed so as to understand what they are experiencing and what more they need. A clear discussion regarding their problems and requirements will help the analyst in developing an efficient system to fulfil the needs and solve their problems. “As is” process can be defined as the procedure in which the present condition of the business process of the organisation is displayed (As is business process, 2017). The major objective of this process is the provision of clarity on the arrangement of the present situation and the procedure of the system as of now. It can be done with the help of Business Process Model and Notation (BPMN). BPMN refers to a graphical presentation of specification of business process in model called business process model. The below report is based on the system analysis and design for a multinational bank “HSBC Bank” from United Kingdom (UK). In UK alone the bank has 1800 branches (HSBC Bank, 2017). The headquarters of the organisation are in Canada Square which is in the Canary Wharf area of London at the HSBC tower. Study has reviewed the systems development project by the analysis of Work Breakdown Structure (WBS) required for the project. Study has developed task sequencing by using the Gantt chart. For fact finding, existing document and observation methods have been used for data collected. Study has reviewed the organisational chart and AS IS process respectively. The above report has analysed the system analysis and design project for HSBC Bank. The report at first explained the functioning of the organisation. Then the report focussed on the systems development project by the analysis of Work Breakdown Structure (WBS) required for the project. Then the report moved towards Task Sequencing approaches and Fact Finding along with organisational chart and AS IS process respectively. Buede, D.M. and Miller, W.D., 2016. The engineering design of systems: models and methods. John Wiley & Sons. Dennis, A., Wixom, B.H. and Tegarden, D., 2015. Systems analysis and design: An object-oriented approach with UML. John Wiley & Sons. Harrison, T.J., Moses, R.J. and Flanagan, G.F., 2014. Preliminary Development of a Work Breakdown Structure for Small Modular Reactors. Neff, R.A., Laestadius, L.I., DiMauro, S. and Palmer, A.M., 2017. Interviewing Baltimore Older Adults About Food System Change: Oral History as a Teaching Tool. Metropolitan Universities, 28(1), pp.47-68. Ong, H.Y., Wang, C. and Zainon, N., 2016. Integrated Earned Value Gantt Chart (EV-Gantt) Tool for Project Portfolio Planning and Monitoring Optimization. Engineering Management Journal, 28(1), pp.39-53. Schmidt, F.L. and Hunter, J.E., 2014. Methods of meta-analysis: Correcting error and bias in research findings. Sage publications. Skrastins, J. and Vig, V., 2015. How organizational hierarchy affects information production (No. 92). IMFS Working Paper Series. Valacich, J.S., George, J.F. and Hoffer, J.A., 2015. Essentials of systems analysis and design. Pearson Education. Wasson, C.S., 2015. System Engineering Analysis, Design, and Development: Concepts, Principles, and Practices. John Wiley & Sons.